from the blue chair: Hi, my name is Kati, and I'm a fabric addict. 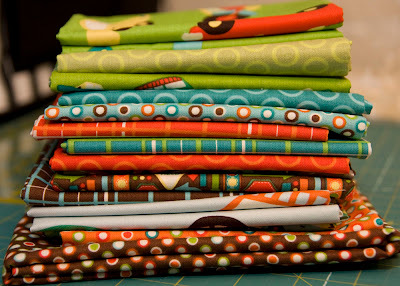 Hi, my name is Kati, and I'm a fabric addict. Every once in a while I stand in front of all my fabric and just consider what in the world I will actually do with all of it. I know I don't have nearly as much as some people, but I certainly have my fair share. Plus, I'm always contemplating new purchases. 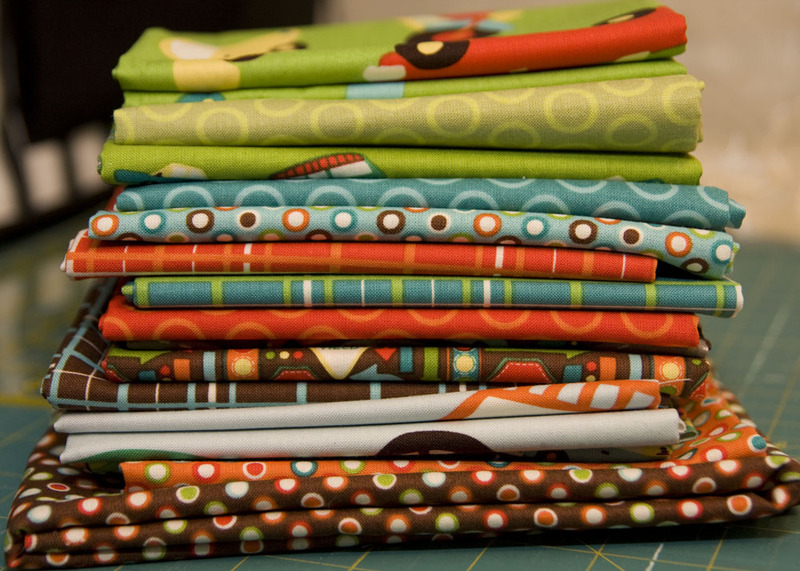 When it comes down to it, I am really bad at actually picking out fabric. 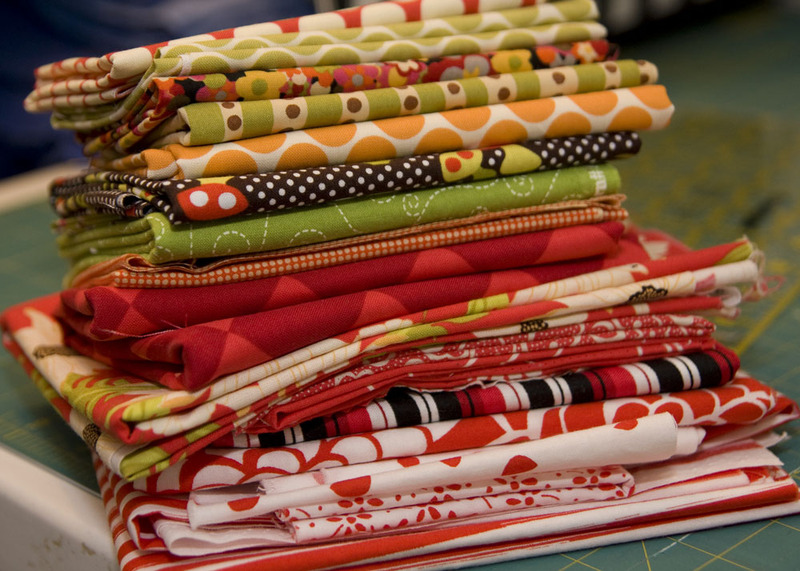 Instead, I always take the safe route and just buy lots of fabric from a line. While I definitely want to use what I have and actually have plans for a lot of it, my new goal is to branch out and learn how to pick fabric that coordinates, but wasn't necessarily made to go together. 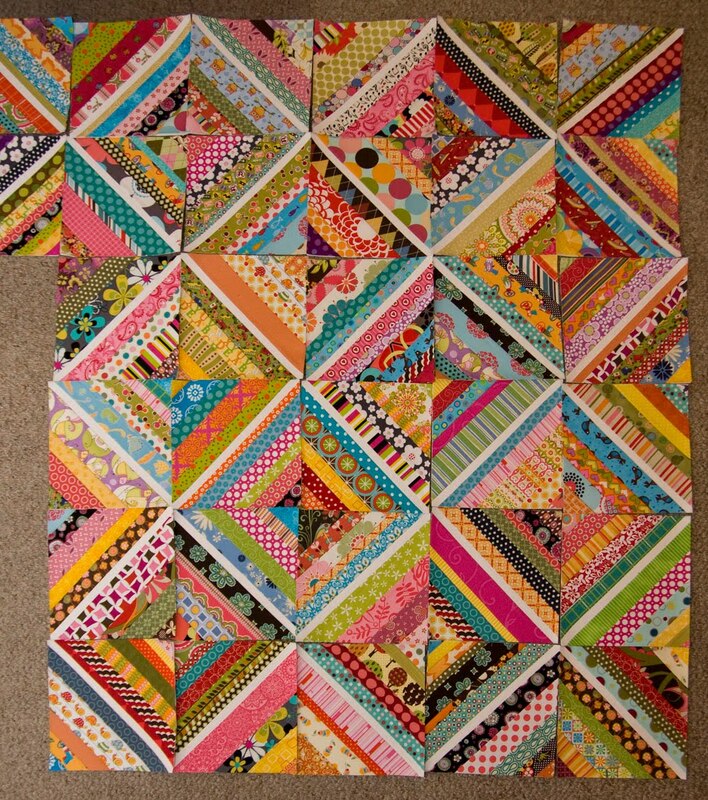 Quilts made like this look so much more interesting. I have three quilts in my bedroom. 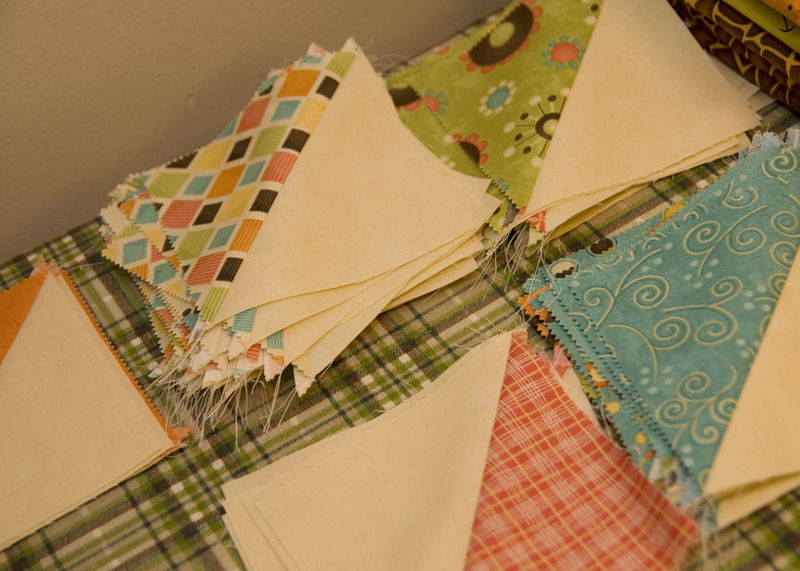 There are three quilts downstairs just folded on the extra bed. David's is in his closet because it's still to big for him to sleep with. I have given three away. 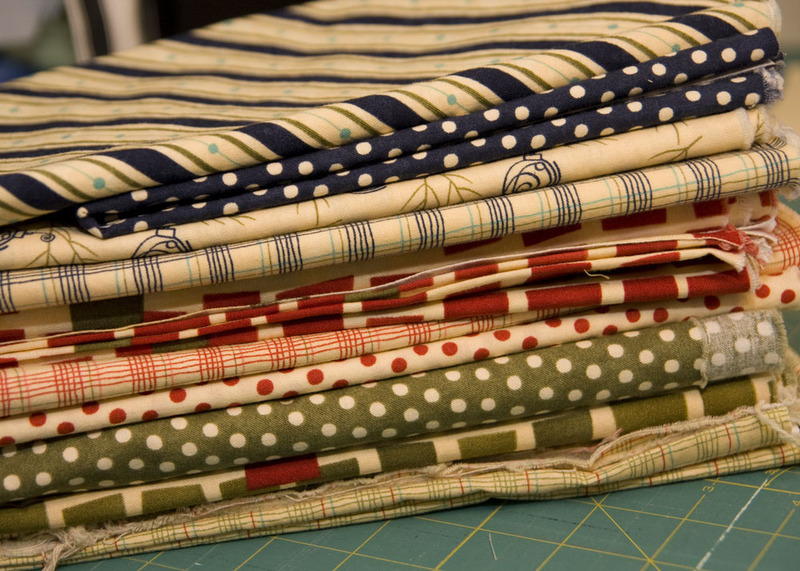 I have a lap quilt in my sewing area when I get cold. I currently have three in progress, plus many more in my brain and a long list of techniques I want to try. This is my #1 work in progress. I'm still debating on exactly how I'll arrange these triangles, but I'm loving them. This might look familiar, only bigger than the last post. I'm slowly working on it. 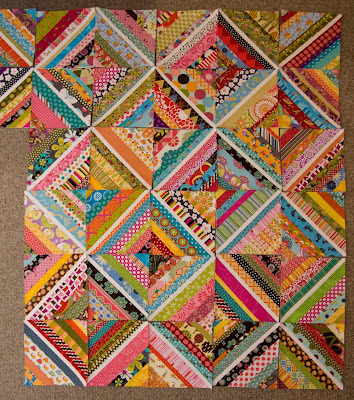 I admit I really don't particularly enjoy sewing the blocks, but I love how it's coming together. I still have about 50 blocks to go.... that might get cut back, but I was planning to make this quilt quite large. I love the impact. I have never bought panels before. 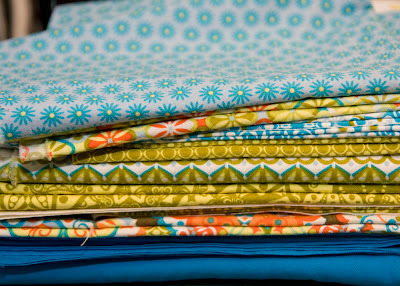 I'm just not a huge fan, but I saw this fabric and fell in love. 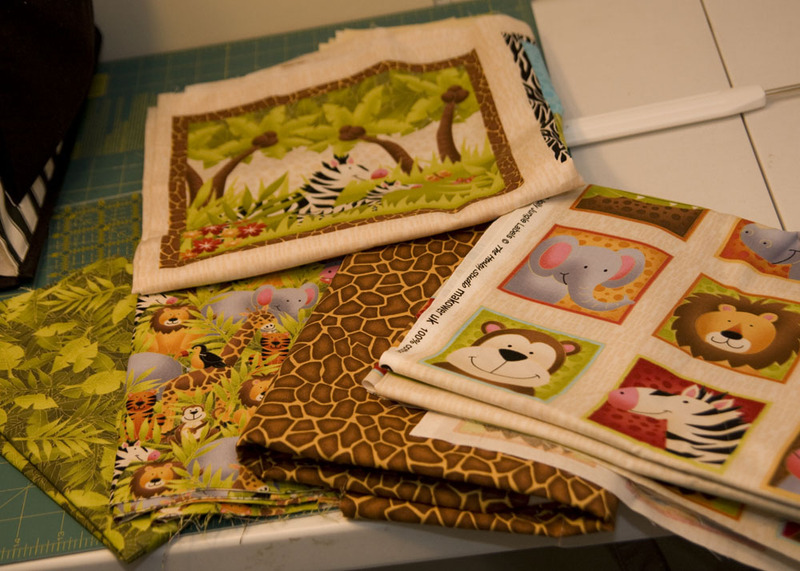 I'm still working on the design, but I'm planning to make a quilt for the kiddos with it. One of those stacks with an unknown future. 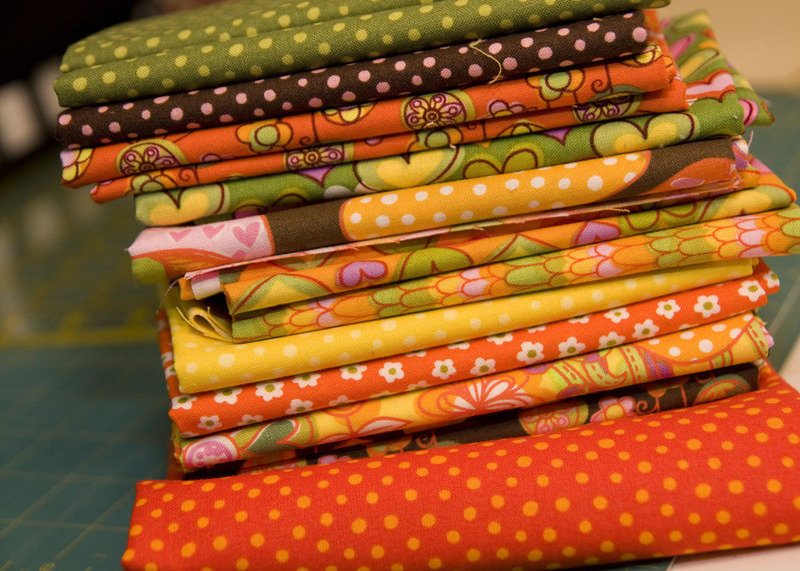 I just loved the car fabric and the colors. Maybe a quilt for David's room when I decided that he is just too big for "Twinkle, twinkle little star." Another line that I adored for months before buying. 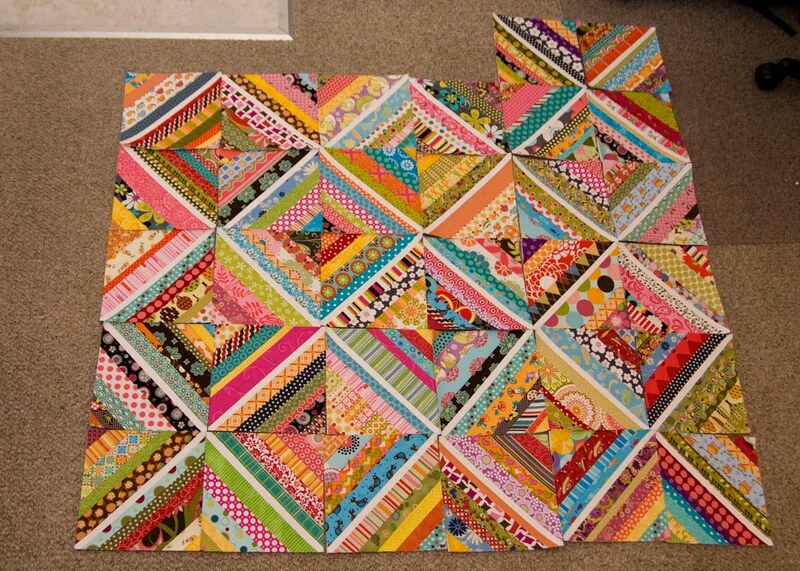 I'm planning to make a full-size quilt with wonky stars with this one. An impulse buy that I still really love, just no plans at the moment. Two potential designs on this one, but I'm having commitment issues. I love this fabric so much I'm afraid to cut it. 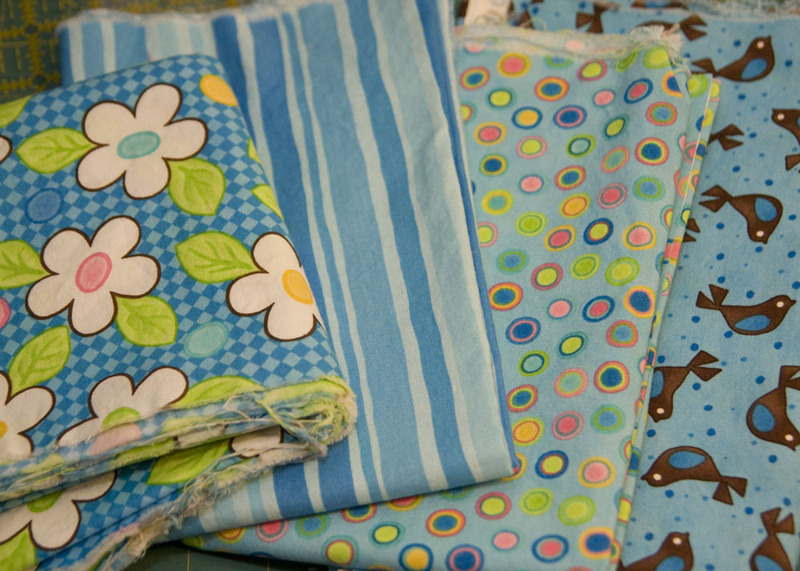 This will hopefully turn into skirts and shirts for Claire and Avery someday. 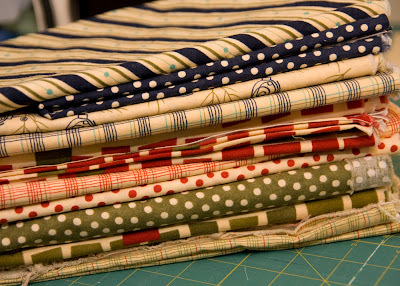 I'm planning to make a traditional sampler quilt with this stack from blocks featured on Modify Tradition. This stack just keeps growing. 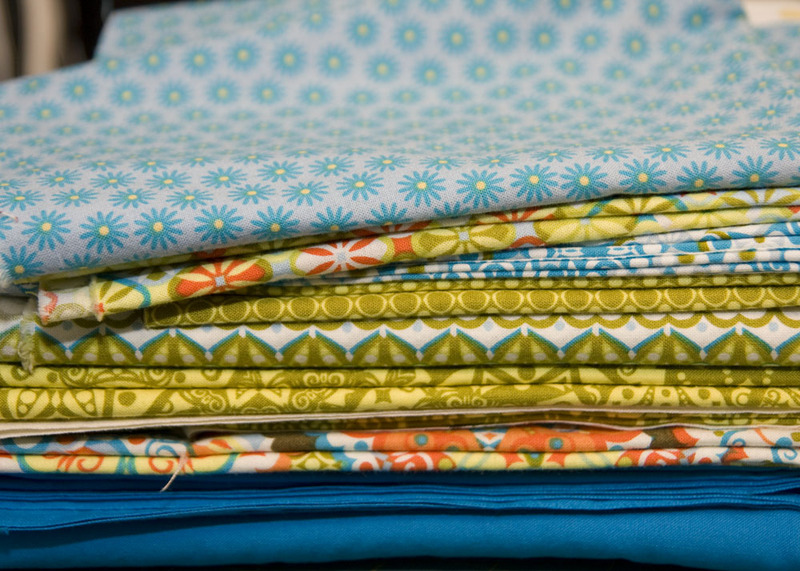 I bought quite a bit when it came out early this year, but now my two favorite fabric shops have it on their $3 clearance racks. I have a hard time resisting great fabric at $3 a yard, but I really have lots of red and pink at this point. I need to start cutting. 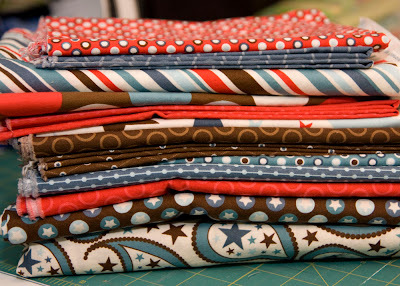 I do have one baby quilt planned, but I think I will still have lots leftover. 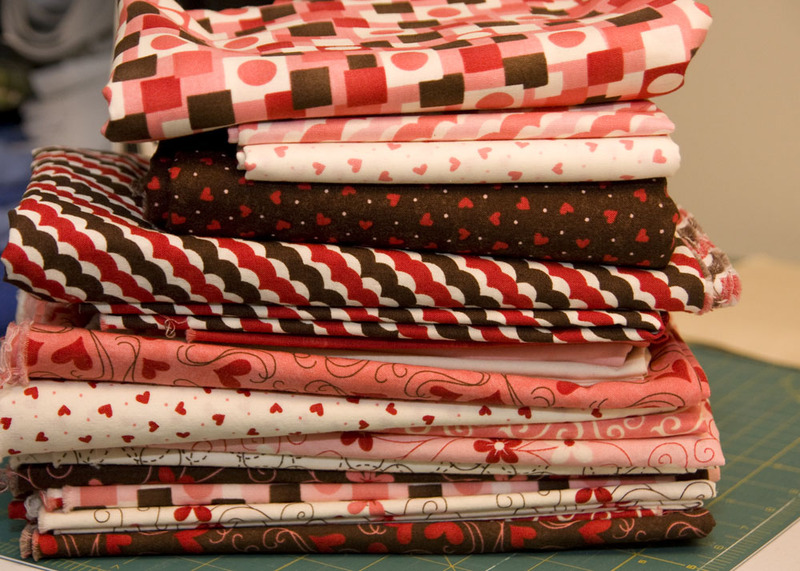 I want to learn how to make Cathedral Windows and thought this fabric would be really fun to use. I plan to make a small wall hanging with these for my sewing area. This is my first stack of "let's throw it all together and see how it works out." This is for another wall hanging with a new technique I want to try out. So, I may be slowing down a bit, but I think the quilting obsession is here to stay. Hi Kati - Found your blog a few weeks ago and am working my way thru. Great post on all of your fabric. 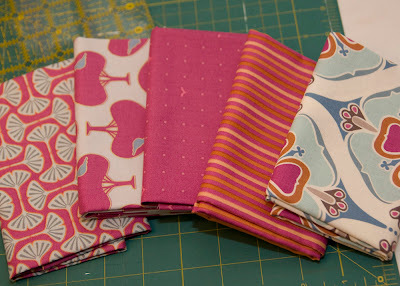 I'm trying to build my stash, but I'm not sure how much of each fabric to buy from a line. 1/4 yd?? 1/2 yd?? More? ?